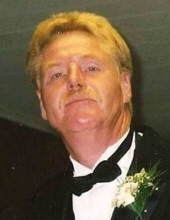 HATTON, Darrell - Age 65, of Flint, formerly of Fenton, died Friday, April 12, 2019. Funeral Services will be held 12:30 PM, Thursday, April 18 at Sharp Funeral Homes, Fenton Chapel, 1000 Silver Lake Road, Fenton. Interment to follow in Great Lakes National Cemetery, 4200 Belford Rd., Holly. Visitation will be 10 AM until the time of service on Thursday. Those desiring may make contributions to the family. Darrell was born July 18, 1953 in Hazard, KY, the son of Walter and Nancy (Miller) Hatton. He was a veteran of the U.S. Army serving from 1971-1974. Darrell was a Truck Driver and Car Hauler for Chrysler Motor Company. He enjoyed working on cars and loved country music! He is survived by: two daughters, Jackie Blankenship and Miranda (Delon Raad) Estep; seven grandchildren, Travis, Kurtland, Erica, Hannah, Jesse, Kayla, Kylee; seven great-grandchildren, Ariel, Amaya, Jayman, Elijah, Kingston, Isiah, Noah; three siblings, Mildred Smith, Pat Bailey, Linda Dotson; and several nieces and nephews. To send flowers or a remembrance gift to the family of Darrell Hatton, please visit our Tribute Store. "Email Address" would like to share the life celebration of Darrell Hatton. Click on the "link" to go to share a favorite memory or leave a condolence message for the family.